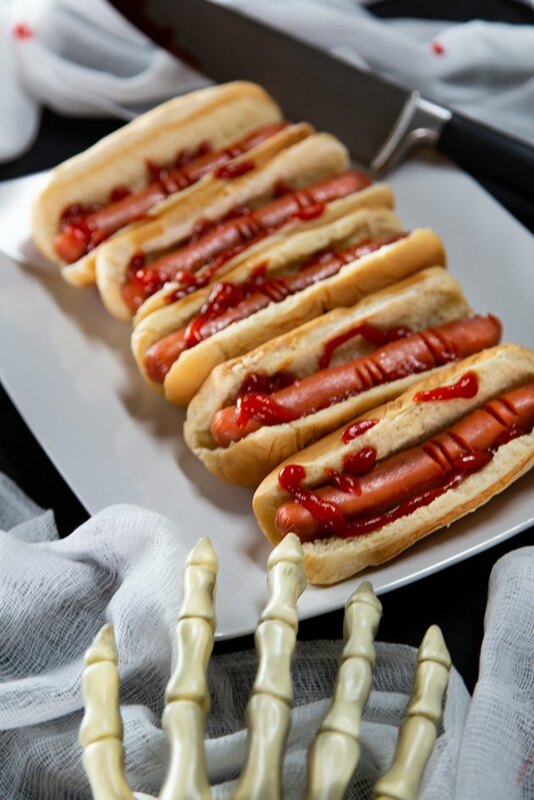 Need some finger food for your Halloween party? Well, how about actual fingers?! 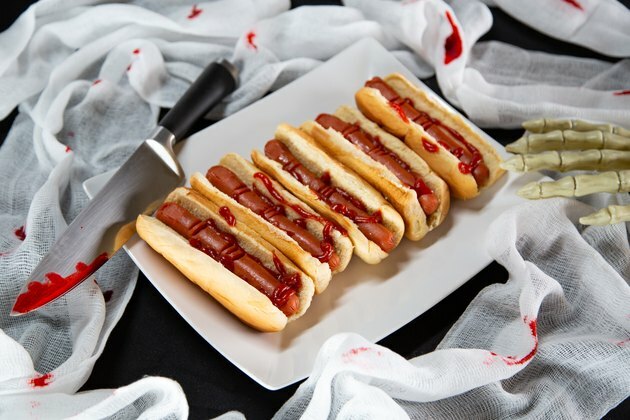 These "bloody" hot dog fingers are perfect for your Halloween setup. Your guests won't be able to take their hands off these treats, or in this case, their fingers! 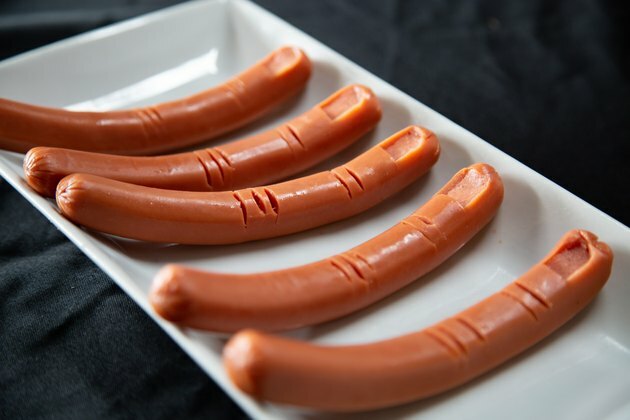 With a few ingredients you can add these weenies to your assortment of Halloween party foods. 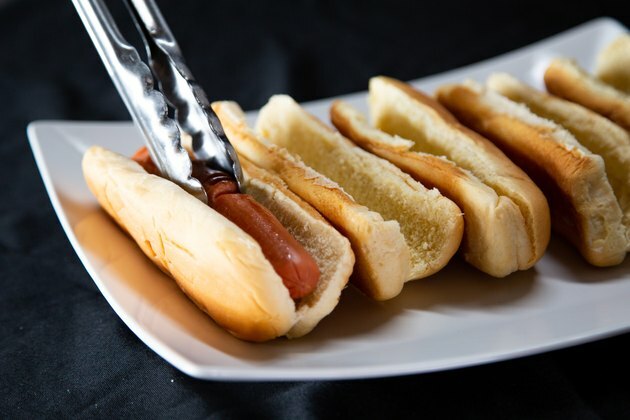 To carve the hot dogs into fingers, place uncooked hot dogs on a sturdy tray. 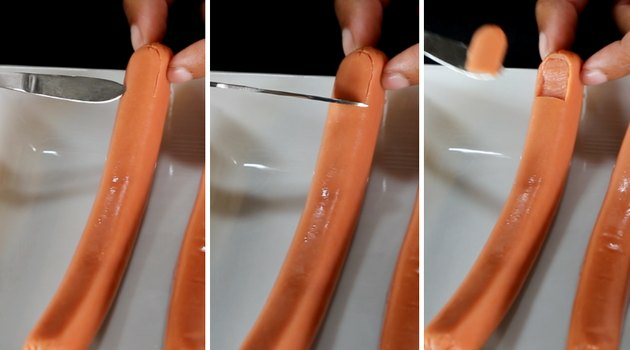 Use your knife or scalpel to lightly carve an upside down U-shaped curve at the top of the hot dog, with a horizontal line at the bottom to create a fingernail effect. Remove the excess hot dog meat and now you have a fingernail! Create knuckles by cutting two slits about an inch under the fingernail. Remove excess pieces of hot dog to finish the knuckle. Then cut three more slits about 2 inches under the first knuckle slits and remove excess pieces to finish off the finger. Repeat with the rest of the hot dogs. 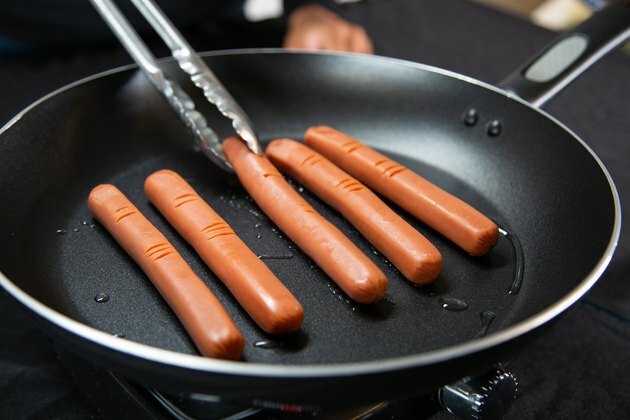 Cook hot dogs on a skillet over medium heat until browned and thoroughly cooked. 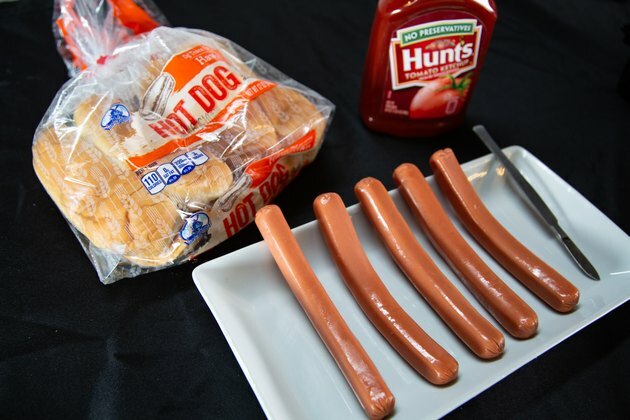 Place the finger wieners inside the hot dog buns. 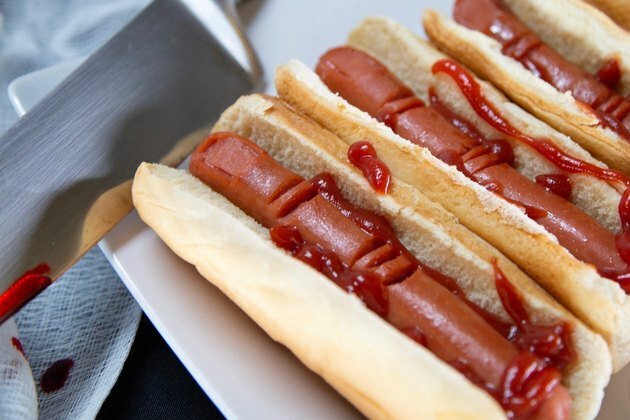 Add ketchup to make the hot dogs look like bloody, chopped-off fingers. Get ready to creep out your guests!